Yungaburra Market is held on the 4th Saturday of the month. From January through November the markets fall on the 4th Saturday of the month. Experience has shown that markets held on or after Christmas Eve (Dec 24th) are poorly attended, so the market in December is specially scheduled to avoid holding it after the 23rd. Moving the market to another Saturday would result in a collision with one of the other nearby Tableland markets scheduled for the first, second and third Saturdays of every month. On years when the fourth Saturday in December falls on or after the 24th, the markets are rescheduled to the last Sunday preceeding the 24th. Sound confusing? To complicate matters, the rules have been changed a few times recently, so the best advice is watch this space. 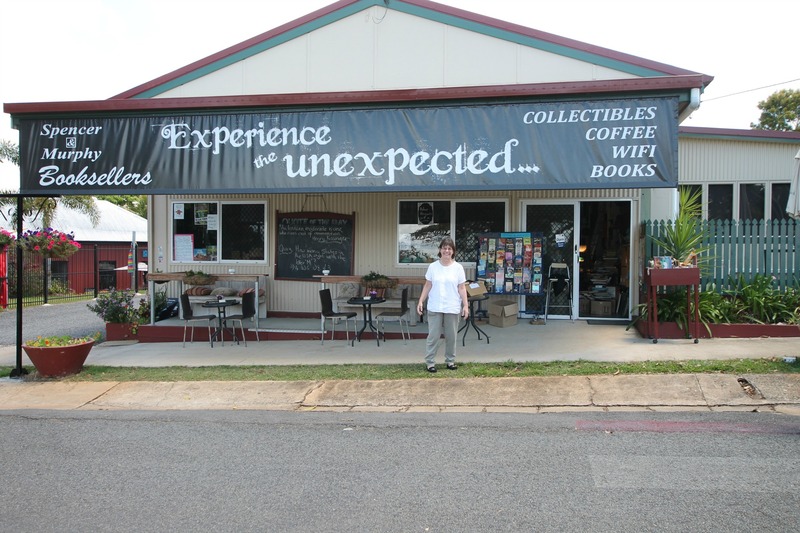 Spencer & Murphy Booksellers have been in the book business in Yungaburra since 2005. We have been described by Lonely Planet as "the best bookshop in the North". We stock a huge range of new and second-hand books, both fiction and non-fiction and many out-of-print books. We have an extensive collection of Australiana, military and history books along with a large range of gardening, cooking, travel, craft, natural history and children’s books. Within our store is a tiny coffee shop - the Book Press Café. Spencer & Murphy Booksellers are open 6 days a week from 10am until 5pm (closed Wednesday). 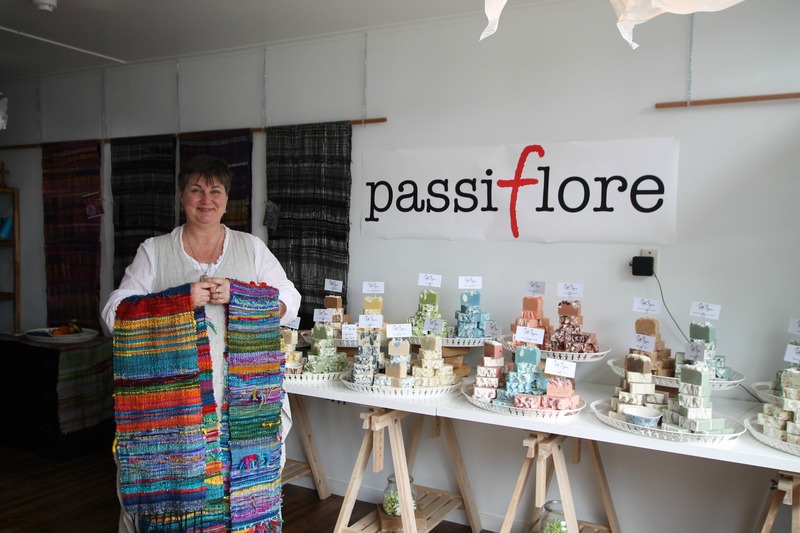 Everything for sale at passiflore has been handmade by Patti the owner / operator. I have a large range of natural, eco-friendly handmade soaps with essential oils and natural colours for you. There is also my freestyle, original handwoven cloth....no two alike!....and 21.5 micron Australian merino that I hand spin and kettle dye and put up in 150 metre skeins. Coming in early 2016: Freestyle weaving classes! make something wild and beautiful for yourself! 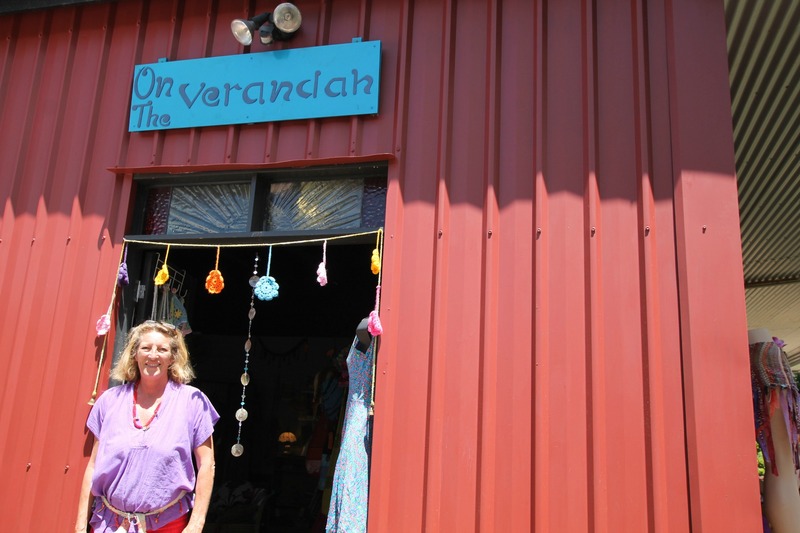 OntheVerandah is a creative studio featuring local handmade craft -funky woven and knitted Beanies, handwoven bags and belts, mats, hemp jewellery, crochet shawls, baby hats and blankets, cute animals and dolls, Gillibilli skirts, silk scarfs, glass hangings and woodwork all by local artisans. We also stock a small range of eclectic clothing, Japanese kimonos and kids wear from overseas. Workshops in hand weaving, knitting and crochet are available by arrangement.